Hard ascents, steep descents and breathtaking views. For you, winters are best spent on skis–all day and every day if possible. 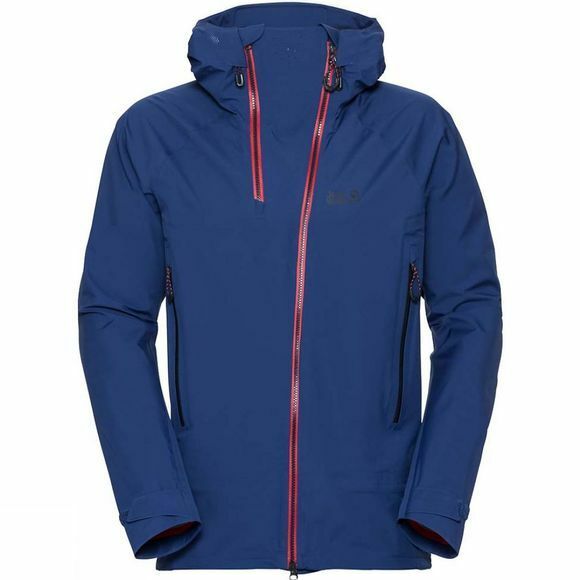 The Mens Exolight Range Jacket from Jack Wolfskin–the snow sports jacket with softshell comfort–was designed for people like you. 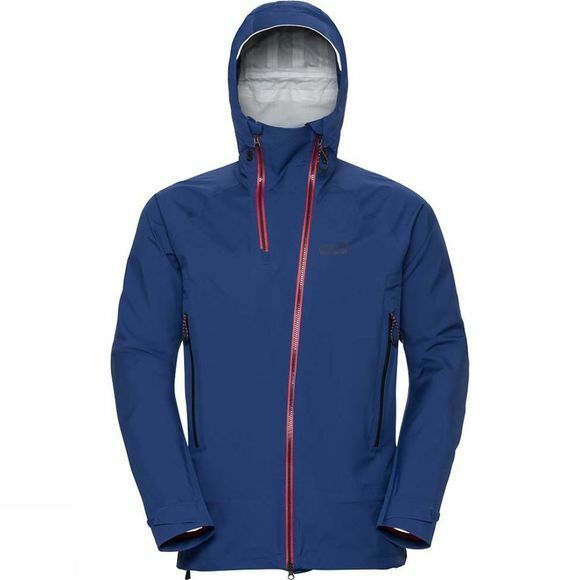 The big deal with It is that you get a hardshell and a softshell in one awesome jacket. The innovative softshell Infinity Hyproof fabric is all about extremes. It is extremely weatherproof, extremely breathable and extremely comfortable. The special collar comes right up under the nose to keep out the cold and has small air holes so you can breathe through it easily. A secondary zip allows you to widen the collar if you need more room or more fresh air. It is made for dynamic winter activities, whether it's endurance training on the cross-country skiing trail or an adventurous ski touring trip. It is highly flexible, with multi-directional stretch performance, and has a slightly longer cut. It is also more breathable than most winter sports jackets in its class. Venting zips provide an added boost of fresh air when you're on the move. In Arctic temperatures, wear it over your down jacket; on a walk through the woods, simply throw it on over a fleece. It has a lovely feel, even if you wear it right next to your skin. It is perfect for use in a layering system and has special docking loops that allow you to connect the jacket to the matching ski pants. Winter sports features include a snow skirt, multiple pockets and a RECCO chip.